In North Carolina, Republican Thom Tillis is tied with Barack Obama's ally, Kay Hagan, 44-44. In New Hampshire, Scott Brown is leading liberal Jeanne Shaheen by just 1 point, 48-47. In Arkansas, Republican Tom Cotton is leading by just a few points, but still hasn't hit 50 percent. In Iowa, Joni Ernst is leading by a razor-thin 2-point margin, 47-45, but victory is far from guaranteed. Grassroots action will make or break every single one of these races. If we can't move conservative voters to the polls on Election Day, Barack Obama will keep the Senate.We can't let that happen. We must continue supplying our grassroots volunteers with the palm cards, door hangers, voter canvassing software, training, signs, and transportation they need to get the job done. And we need your help to make it happen. Patriots can go to the Tea Party Patriots website here for more information. 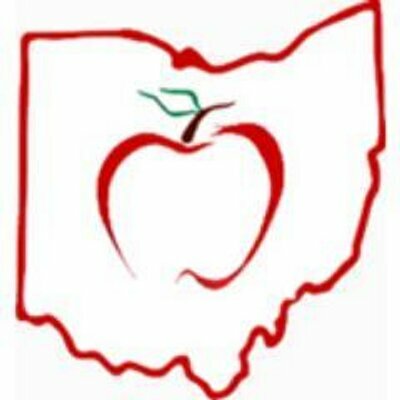 Ohio School Board Member on Common Core Standards: "Follow the Money"
We recently posted an op-ed by Marianne Gasiecki of the Mansfield Tea Party on how Common Core is more about the money than it is about educating our children. An Ontario, Ohio school board member urges all American parents to “follow the money” on Common Core. Richland County's Marianne Gasiecki warns that state departments of education are intent on undermining “local control” laws when it comes to opting out of the new standards. “It’s all about the money,” Gasiecki told Breitbart News during an interview. 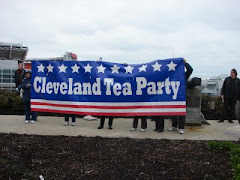 As a Republican who founded the Mansfield Tea Party and serves as state coordinator for the Tea Party Patriots, Gasiecki helped organize the student opt-out from the Common Core-aligned tests a year ago. This January, she was elected to the Ontario school board. “As you’ll read, the reform game is rigged with punitive penalties – for every player at every level – thus preventing any real or practical defection from the State and Federal regime,” writes OACC. Because of the alignment of the academic content standards to assessments and to the end of course examinations, the most obvious concern is that a district decision to not adopt a curriculum based upon the new learning standards will affect student scores on assessments. Poor performance on these assessments will impact building and district rankings on the report card, the ability of students to master the end of course examinations and graduate, and teacher performance under the teacher evaluation system. At the student level, poor performance on certain assessments can result in a child being retained in the third grade or being unable to meet graduation requirements. At the teacher level, poor performance by students will affect a teacher’s evaluation and could result in consequences for the teacher. At the district level, a poor performing school building (depending upon whether the performance falls below standards set by the specific statutes) could end up being an EdChoice eligible building, or could be required to conduct school improvement activities. To the extent that students cannot meet the Third Grade Reading Guarantee, a district will have to bear the cost of providing the required remediation. If a district’s overall performance is low enough, the district may end up subject to the supervision of an Academic Distress Commission. Before making a decision about whether or not to adopt curricula based on Ohio’s new learning standards, your district should carefully compare the new learning standards to the existing academic standards and to review the model curricula. The department can provide you with comparison documents if that would be helpful. The greater the extent to which your district reflects the new learning standards, the more aligned your district will be to the assessments administered to your students, which will lessen the potential for any negative impact. In a recent editorial at Richland Source, Gasiecki dismissed latest threat: Schools will lose funding if students opt out of the Common Core-aligned testing. Gasiecki traced how taxpayer funding is being spent on Microsoft products, and questioned the motives of textbook publishers such as McGraw Hill and Pearson, who reportedly profit from taxpayer funding of new textbooks aligned with the Common Core standards. A mother of two – one is a senior in the local public school and the other is homeschooled – Gasiecki has a four-year accounting degree and a background in finance. Gasiecki said she continued to become more vocal, “hammering” the board of education, and urging more people to attend meetings and get involved. Gasiecki said, however, that, gradually, more people began to listen to what she had to say. On October 14, the Ontario local school board meeting had a packed house, said Gasiecki, who added she could hear grumbling going on throughout the meeting. Gasiecki said at school board meetings she found that other board members couldn’t answer questions about the Common Core standards. Gasiecki has also found that she has been targeted for her outspokenness on the controversial education initiative. On October 9 – Constitution Day – she reported that she went into the elementary school in her district to bring activity books about the Constitution for the kids. Gasiecki stated she suggested the board address the specific issues about the fact that she went into the schools, so that the people attending the meeting could hear about them. “The people in the chairs were furious, and I ended up getting more support,” she said. Gasiecki views the current struggle with the Common Core as the latest stage of a “snowball effect” of progressive education policy that began a century ago. “When you follow the money, you see that state departments of education have received millions of dollars, and now they have to push Common Core in any way they can,” she said. 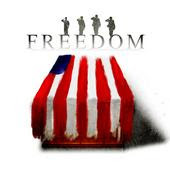 Ronald Reagan knew at his core that the precepts of statism are anathema to American constitutional liberty; that personal freedom must be sacrificed in order for it to take hold and that its price is “chains and slavery.” He understood that statist liberalism, “must use force and coercion to achieve its purpose,” and that without force, no free people would choose to live under it. This is what Reagan understood. Times have changed as well as the men and women who live in them but statism has not. As a political dogma, it remains unchanged in its pursuit of subjugating people to the state. It was this understanding of statist government that guided Reagan a generation after his speech to rightly call the Soviet Union an “evil empire,” and demand that Mikhail Gorbachev “tear down this wall,” which separated East Berliners from liberty. The threats of statist liberalism have ebbed and flowed in the half century since Reagan gave his speech but today, it is at a high-water mark in America. The federal government is forcing Obamacare on an unwilling public. The president is seeking the effective destruction of American sovereignty by erasing our borders through executive amnesty for illegal immigrants. The most prosperous free-market economy in the history of man suffers under the yoke of government regulations and our growing debt poses an existential threat to the republic. Ronald Reagan articulated a choice for America 50 years ago; whether its citizens would embrace, “the ultimate in individual freedom consistent with law and order,” or succumb to the attractive lies of statism that lead to totalitarianism. Jane Robbins, Senior Fellow at the American Principles Project, will be in Middleburg Heights on Saturday to discuss the many aspects of and deep concerns about Common Core. We are very fortunate to have someone of this caliber to speak at a nearby event. If you have not yet had the opportunity to hear Jane Robbins speak, then Ohio patriots strongly suggest you take a few hours out of your day to attend this FREE event. It will be eye-opening, to say the least. If you are unfamiliar with Ms. Robbins, Click here to watch a short video. Walton, a President George W. Bush-appointee, also said individual IRS officials could not be fined in their individual capacity for allowing such treatment because it could hurt future tax enforcement. The ruling, which the groups could appeal, has serious implications for tea party groups suing the IRS, suggesting they may never receive compensation for the long waits they endured for a ruling on their status. The inspector general report that ignited the targeting controversy last year found that applications sat in limbo for as long as several years and that the groups were asked inappropriate questions about their donors, political affiliations and random things like social media posts. But others said the agency needs to do more — not less — to scrutinize nonprofit groups that don’t follow the rules and over-engage in political activities. To obtain the status in question, political activity must not be the groups’ primary activity — a vague and difficult-to-administer test. A furor erupted in May 2013, after a Treasury inspector general report blasted the IRS for using discriminatory labels to sort through applicants seeking tax-exempt status using terms like “tea party ” and “patriots." Soon after a raft of right-leaning organizations that applied for tax-exempt status sued the government. Some had had their applications put on hold for years; others were asked what were later ruled inappropriate questions about donors and political views during the application process. The groups in their suits alleged that the IRS violated their First and Fifth Amendment rights with the inappropriate “be on the lookout” list that used words like tea party to hold up their applications. They sought monetary relief for their trouble as well as injunctive relief barring the IRS from discriminating against conservative groups ever again. The agency has since changed its practices, including scrapping the lists. When the suits at hand were filed, 22 of the groups had already received their tax-exempt status, five had dropped their applications altogether and just over a dozen were still waiting to hear from the IRS. Since then, the IRS had approved all but two, rendering much of the arguments moot, the judge said — and preventing him from considering the case. “After the plaintiff initiated this case, its application to the IRS for tax-exempt status was approved by the IRS. The allegedly unconstitutional governmental conduct, which delayed the processing of the plaintiff’s tax exempt application and brought about this litigation, is no longer impacting the plaintiff,” Walton said in his decision to throw out True the Vote’s lawsuit against the IRS. Although the midterm elections are still two weeks away, about two million Americans have already voted. The circus of early and mail-in voting undermines the federal law, which provides: "The Tuesday next after the first Monday in November, in every even numbered year, is established as the day for the election." When our national elections were held on one unifying day, discussions and debates could continue among family, neighbors and the media up until the day that virtually everyone voted. The one and only debate between Ronald Reagan and Jimmy Carter occurred only a week before Election Day in 1980, with the candidates tied in the polls while a television audience of perhaps 120 million people watched. Why rampant early voting is even allowed remains a mystery. The Constitution requires that the members of the Electoral College, who elect the president, must cast their votes on the same day throughout the nation, because our founding fathers wisely sought to avoid the mischief caused by early voting. Yet in this year's race for the U.S. Senate in Iowa, which may decide which party controls the Senate beginning January, some 170,000 Iowans had already cast their votes before the candidates held a key debate. Those votes that are cast before debates are held can hardly be desirable. In Congress, a representative may change the vote he cast for or against a piece of legislation up until all the votes are cast and the voting period is closed. But the millions who vote early cannot change their vote based on new information, and candidates are wasting time and money campaigning in front of people who have already voted. Because of the Ebola scandal, some may wish to change their vote, but that is impossible for those who have already voted. Some early voters may die before Election Day, and early voting allows the votes of those dead people to be included. If there is any dispute over whether their votes were valid or fraudulent, they are no longer with us to defend themselves. Typically, there are no poll watchers during early voting, so the integrity of the casting of the ballots cannot be monitored. Many of the early votes are cast in a coercive environment, such as a union boss driving employees to the polls and watching over the process so there is no guarantee that their votes will be private. Democrats promote early voting for the same reason they oppose voter ID: because they view early voting as helping their side. In the absurdly long 35-day period of early voting in Ohio in 2012, Democrats racked up perhaps a million-vote advantage over Republicans before Election Day was ever reached. Romney lacked a message, too, but he was mainly defeated by the Democrats' superb ground game, which exploited early voting in key states such as Florida and Ohio. By continuously updating their computer-based information about who had not yet voted, Democrats could harass and nag low-information voters until they turned in their ballots. This past Thursday, October 16, Tea Party Patriots released a new documentary, “Border States of America.” Narrated by actor Nick Searcy, the documentary will take viewers for a ride along the U.S-Mexico border and expose the many consequences of rampant illegal immigration. This hard-hitting documentary features interviews with Sen. Jeff Sessions (R-AL), and Reps. Steve King (R-IA) and Louie Gohmert (R-TX), as well as dozens of law enforcement officials. The point the documentary drives home is this: illegal immigration extends beyond the thousands of minors from Central America, and its consequences are far-reaching and affect every American. Because of the demand and overwhelming support, Tea Party Patriots will be re-broadcasting "Border States of America" tonight Saturday October 18th at 7:30pm EDT. To watch or sign up for the re-broadcast tonight click here. Common Core: Public Education or Personal Enrichment? Below is an excellent Op-Ed piece from Marianne Gasiecki of the Mansfield Tea Party on following the Common Core money trail that fuels the national push of a select few to control our children's minds through education. 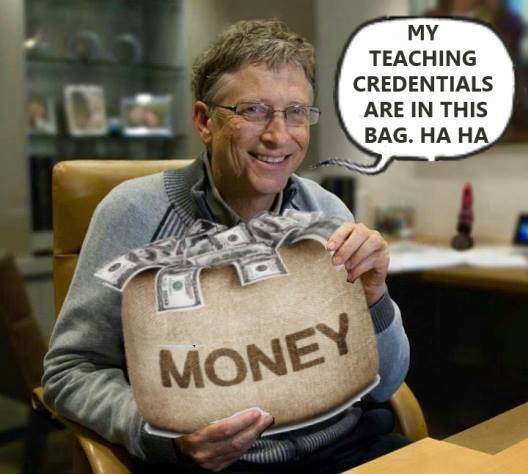 Highlighting Bill Gates & The Gates Foundation financial influence and corporate cronyism perverting education in our country, you will see Common Core has nothing to do with education of our children and everything to do with personal enrichment off of our children. On a side note, this would be the same Bill Gates & Gates Foundation that has duped many conservatives into blindly supporting the nationwide push for Charter Schools - that fly under the Gates-funded Trojan Horse banner of "School Choice." I have always been a firm believer of “follow the money.” Unfortunately, Common Core (CC) is no exception. The state’s position has always been that every school district has the right to opt out of CC, but when considering that option, schools receive threatening letters from the Ohio Department of Education (ODE). The latest threat is that schools will lose money if students opt out of the testing this fall. False. There is nothing in the Ohio Revised Code tying a child’s test to funding. All this coercion makes sense when you learn that the ODE received $4.5 million, and the National Assoc. of State School Boards received $3.3 million from the Gates Foundation, for implementation of CC. Struggling states accepted Race to the Top and stimulus money in exchange for implementing a set of standards, sight unseen. The standards had yet to be developed. Now we’ve seen them. The two most qualified members of the CC Validation Committee refused to sign off on them, stating they would put us years behind other countries in mathematics alone. Parents and students are struggling to understand the convoluted math homework, and teachers are spending more time testing and being assessed than they are teaching. Bill Gates hopes his “education stuff works...but we won’t know for probably a decade”. That’s a generation lost to an experiment. So why is Bill Gates supporting this experiment on our children? Money. Schools (the taxpayer) using computer-based, Common Core-aligned tests will now need to spend “a bunch of money — on Microsoft products.” Click here to read more. Textbook publishers, like McGraw Hill and Pearson, are also making a fortune as taxpayers are forced to fund all new textbooks to align with CC. Pearson has purchased a bio-behavioral testing company so they can do more behavioral testing in the schools. Why is a textbook company getting into the bio-behavioral testing business? Think about it. Our children have been reduced to nothing more than “human capital” in the game of “workforce development,” as privacy is continually violated and 400+ data points are gathered through the excessive online assessing and mandated use of technology in instruction. No one is opposed to standards, but CC has nothing to do with elevating the education of our children, and everything to do with elevating corporate cronyism off the backs of our children. If people truly believe in putting our children first, then we should all be supporting the complete repeal of CC through Ohio House Bill 597. Be prepared to work harder at home. The era of affordable labor-saving devices is threatened by rising appliance costs due to federal energy regulations. Washing clothes by hand sounds Third World to Americans, but how else does a limited budget handle the sticker shock from such as washing machines and dryers commonly priced at $600 to $1,000? That’s for separate units, not both together. Nobody saves money by buying more expensive products when the claimed energy savings don’t materialize. That’s because we commonly don’t keep appliances and electronics long enough to close the cost gap. Even stricter federal energy regulations are in the pipeline not only for washers and dryers but also for refrigerators, freezers, all types of lamps and lights, dishwashers, ice makers, air conditioners, furnaces, space heaters, ovens, stoves and lots more, including chargers and power supplies for cellphones and other personal electronics. Each product gets its own vast, dizzying array of proposed mind-numbing new standards on power consumption, design and labeling, with details for each variation in which they are sold. How would you like being told that there’s even more “in Appendix Z to subpart B of 10 CFR Part 430,” as one edict says? Any time your appendices climb to Z, you’re way past being reasonable. Manufacturers such as General Electric, Panasonic, Sub-Zero and others are petitioning the Department of Energy for relief from the tedious new power-use testing requirements that are the prelude to an avalanche of more regulations. The mantra from the green energy crowd is that we should ignore higher purchase prices, because we’ll eventually get it back from savings on our electric bills. But the feds often calculate supposed savings over a 30-year span (sometimes only 9 years) on products that we’re unlikely to keep that long. They wear out, break down or become obsolete. Even The New York Times published a report that the fuel savings from more miles per gallon won’t offset higher auto prices unless people start keeping their autos twice as long as we typically do. The Consumer Electronics Association told regulators that it’s nonsense to project 30 years of supposed savings when consumers may use an item for only a few months. CEA proposes the industry develop its standards rather than be buried under government dictates. The Association of Home Appliance Manufacturers touts the improvements already made, such as success in doubling energy efficiency of dishwashers since 1980. Nothing is ever enough for the green crowd, however. How about the most common personal appliance: the cellphone? The common turnover rate for cellphones is every two years, which includes a new charger each time. Bureaucrats claim the industry should standardize chargers for the 200-million-plus cellphones they sell each year. Then people could keep their old chargers when they get a new phone. They have a point there. Lots of us wish that power supplies were standardized, just like electric outlets, regardless of the brand or the product. Industry steps toward that would be surefire winners. The Department of Energy claims its regulation on power supplies would cost consumers $143 million a year but save us $293 million. Of course, their claimed “savings” include speculative benefits from reducing carbon footprints. And the chargers are small stuff compared to the requirements for larger appliances like refrigerators and stoves. Even states are getting in on the act. The Institute for Energy Research reports that 11 states already have appliance standards going even farther than the feds. Creature comforts like coffee makers, CD and MP3 players, electric blankets and even electric foot massagers may not be as common in the near future, simply because so many people won’t be able to afford the little luxuries of life. Pick which ones you want and do without the rest. Rediscover the manual toothbrush even though the electric version plus a Waterpik protect your teeth better. Pile up the quilts on your bed. Use a hand egg beater. The extra costs being added to each item may seem minor, but they add up to a major impact on our quality of life. It’s not the end of the world, but is this interference with our choices really what our government should be doing? No, it is not. Be prepared for a possible future of solar-powered clothes dryers. We used to call them clotheslines. On Saturday, October 18th from Noon to 2 PM, a "Repeal Common Core Rally" will be held in Westerville (Westerville American Legion - 393 E. College Ave.). This event is being put on by HIGH SCHOOL STUDENTS! Speakers will include both Conservative and Liberal teachers and students, as well as community members, who believe that Common Core is damaging the education system. Common Core is taking teaching, individualism, and creativity out of schools. These standards will be detrimental to both the education of our youth, and future of our nation. Our goal is to make the District and State education boards realize the consequences of implementing Common Core, and to provide political pressure to repeal Common Core state wide. 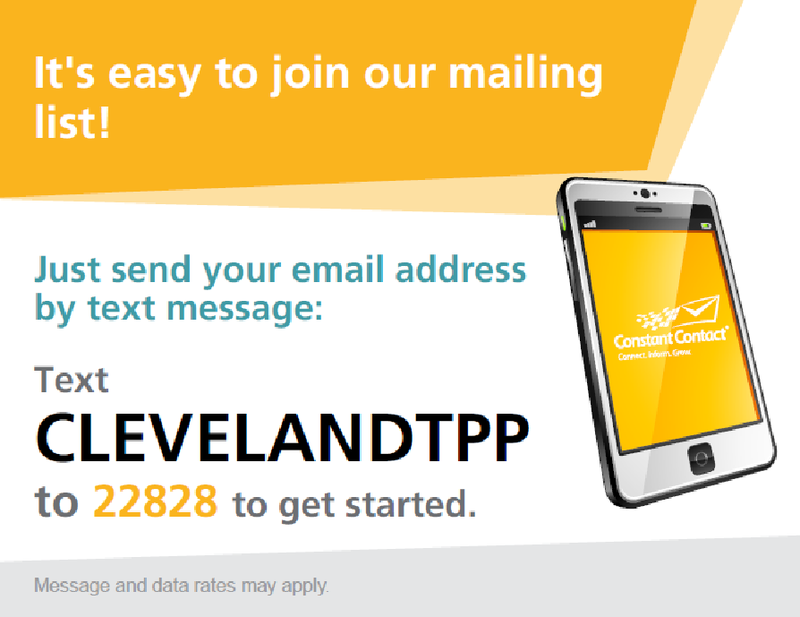 To keep up with efforts to repeal Common Core in Ohio and how you can help please go to Ohioans Against Common Core website by clicking here. To get started with efforts to repeal Common Core in your child's school district, make sure to check out their Take Action section by clicking here. We recently posted an excellent article by former Congressman Ernest Istook highlighting the battle we face in the upcoming lame duck session of Congress over a proposed $18 billion extension of the wind-energy production tax credit being fueled by crony capitalism. For the latest example of wind blown tax dollars and crony capitalism in Ohio we only need to look at the shores of Lake Erie and the Lake Erie Energy Development Corporation (LEEDCo). LEEDCo was founded as a non-profit economic development corporation in 2009 as a result of a public/private funded feasibility study for the Great Lakes Energy Development Task Force to put wind turbines in Lake Erie. Members of LEEDCo include the Cleveland Foundation, NorTech, the City of Cleveland, Cuyahoga, Lake, Lorain and Ashtabula counties. The projected costs for the 6-9 wind turbines alone is approximately $92 - $100 million. This does not include any overruns of construction costs, the cost of installing the transmission lines to get the power from the turbines to the shore, reworking or updating of the existing power grid to accommodate the wind power and/or the estimated yearly maintenance costs of $5 million as outlined in the feasibility study. After several failed bills in the U.S. Senate to promote funding for wind energy (Here & Here) by Senator Sherrod Brown (D-OH), and after his continued badgering, LEEDCo received an initial $4 million grant in 2012 to fund their Project Ice Breaker. Project Ice Breaker is for research & design engineering on the bases needed for the proposed wind turbines in Lake Erie. Failing to qualify for the full $47 million available for each project in the second round of the grant awards (tax dollar giveaways), LEEDCo was only awarded $2.8 million by the D.O.E. to complete engineering and other related studies on Project Ice Breaker. But this setback is not about to stop LEEDCo. Lorry Wagner, president of LEEDCo, acknowledges the setback but reaffirms their dedication to forcing this project through. And this brings us to the wind-blown bile of crony capitalism we see in many of these wind turbine projects. When speaking of crony capitalism in Cuyahoga County and/or Ohio, somewhere along the line you will find some sort of non-profit group being controlled or influenced by the cabal of corporate charlatan's at The Cleveland Foundation & the Greater Cleveland Partnership (GCP). Taking a look at the original Great Lakes Energy Task Force and LEEDCo the non-profit economic development corporation specially created for wind turbine project, you will see it is nothing more than a shell game of incestuous relationships fleecing the public with our own tax dollars. The Cleveland Foundation and Nortech, a non-profit front group for the GCP, both served on the Great Lakes Energy Task Force. The task force in turn hired JW Great Lakes Wind LLC to create a wind feasibility study for turbines in Lake Erie. In creating this wind feasibility study for the Task Force, JW Great Lakes Wind LLC had the "help" of the Great Lakes Wind Energy Center, a front group for the Cleveland Foundation pushing for turbines in Lake Erie. From this wind feasibility study for the Task Force, paid for partially with public money & created with the help of groups tied to the Task Force, the non-profit Lake Erie Energy Development Corp. (LEEDCo) was created by the Task Force to oversee the push for wind turbines in Lake Erie. With a quick click here, you will see many of the Board members of the Task Force that created LEEDCo, are now Board members for LEEDCo. The non-profit LEEDCo hired Bechtel Development Company, Inc. (Bechtel), Cavallo Great Lakes Ohio Wind, LLC (Cavallo) and Great Lakes Wind Energy, LLC (GLWEnergy) to work on the project. Bechtel, Cavallo and GLWEnergy have formed Great Lakes Ohio Wind, LLC (GLOW), the company that will own and develop the project. With only the tip of the corporate cronyism pointed out in just this one "wind" project in Ohio, do you really need more reasons as to why Speaker Boehner & the upcoming lame duck Congress should reject extending the $18 billion Wind Energy Tax Production Credit? 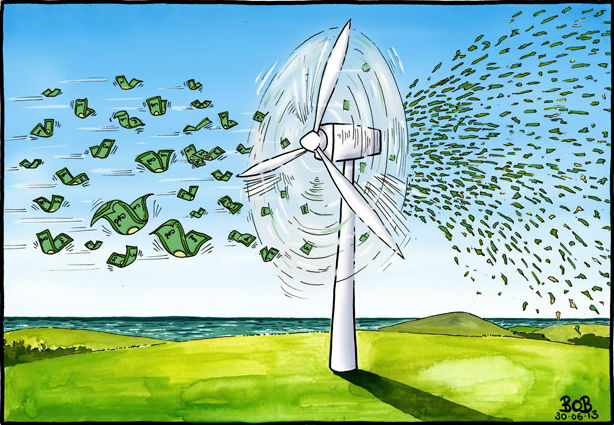 It appears most of the 'green' energy being created by these tax-payer funded wind-energy production tax credits is the 'green' fueling up the pockets of a select few crony capitalists. When done reading the below, please click here to read about the crony capitalism infecting the wind turbine efforts on Lake Erie. One “temporary” measure — the wind-energy production tax credit (PTC) — has received eight “temporary” extensions since 1992 and now backers want to add several years more. After 20 years of soaking taxpayers for billions of dollars in subsidies and raising electric bills, it’s overdue for the PTC to end. It expired at the end of 2013, yet some lawmakers want to give it new life, plus an additional $18 billion, during the post election lame-duck session of Congress. • Ernest Istook is a former Republican congressman from Oklahoma. Get his free email newsletter by signing up at eepurl.com/JPojD. DALLAS (CBSDFW.COM) – The CDC has announced that the second healthcare worker diagnosed with Ebola traveled by air Oct. 13, the day before she first reported symptoms. The CDC is asking all 132 passengers on the flight to call 1 800-CDC INFO (1 800 232-4636). Public health professionals will begin interviewing passengers about the flight after 1 p.m. ET. Fox 8 News has more here. Dr. Betsy McCaughey appeared on Fox just after she had attend a CDC conference call with hospitals this afternoon. Host Stuart Varney asked her what it would take to set up 50 hospitals to be ready for Ebola. According to her, after the CDC outlined its preparation strategy, one hospital administrator responded, “What you’re telling us would bankrupt my hospital!” She said that that administrator represents a Southern California hospital. In the case of Texas Presbyterian, McCaughey says that the hospital cordoned off its ICU to care for Thomas Eric Duncan and sent the rest of its ICU patients to other area hospitals. She added that many communities will not have multiple hospitals to choose from, so one Ebola case could cripple ICUs in small towns.